Governor Ricardo Rosselló said he would attempt to restore 95 percent of Puerto Rico’s electrical power by December 15, which would be almost three months since the island was devastated by Hurricane Maria. He said he aimed to have 30 percent of power back by the end of October. In a statement, Rosselló said he was setting the deadlines “so that our people can have clear and established metrics.” Some initial estimates had been even more dire than the timeline he laid out. Only 15 percent of Puerto Ricans had power as of Sunday — the number of customers without it has actually ticked back up in recent days. About 58 percent of people have cell-phone service, and 64 percent have access to clean drinking water. The dearth of reliable electricity since the storm hit on September 20 has resulted in many serious problems, from non-functioning cash machines to lack of internet service. But it’s Puerto Rico’s overwhelmed hospitals that have faced the gravest consequences. Puerto Rico death toll is now 48. A Vox analysis shows that the official toll may be off by hundreds, and is likely to keep rising. The effort to restore power will largely be driven by the U.S. Army Corps of Engineers, which has been patching up and rebuilding the island’s infrastructure for weeks at the direction of FEMA. 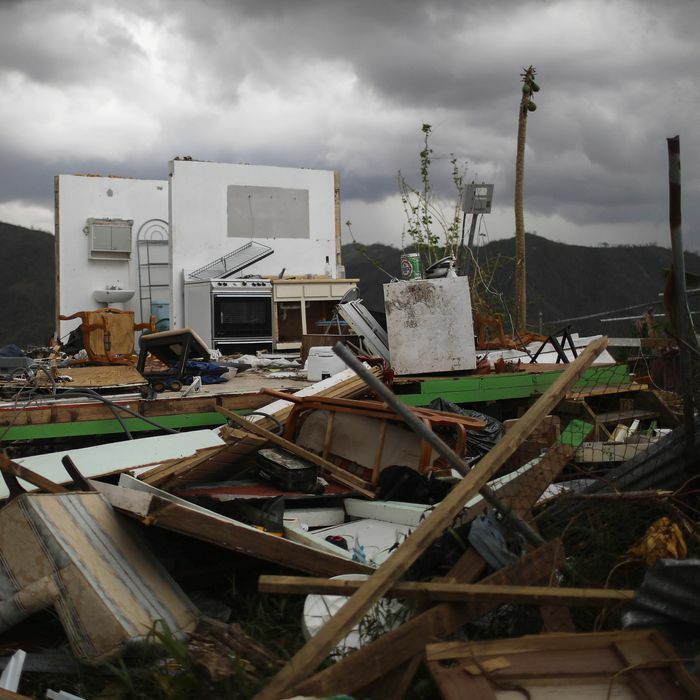 Puerto Rico’s lone power company had long been beset by financial problems relating to the island’s crippling debt, and its electrical system was in dire shape before the storm hit. President Trump alluded to those problems in a tweet on Thursday, one of many times he has shown a notable lack of compassion for the island since the storm hit. Other lawmakers have been more traditional in their approach. House Speaker Paul Ryan visited on Friday, pledging to help with long-term aid for what he called “a humanitarian disaster.” The House of Representatives passed a $36.5 billion bill this week to provide relief to victims of Maria and Hurricanes Harvey and Irma, which hit Texas and Florida, respectively, in September.